New assortment! 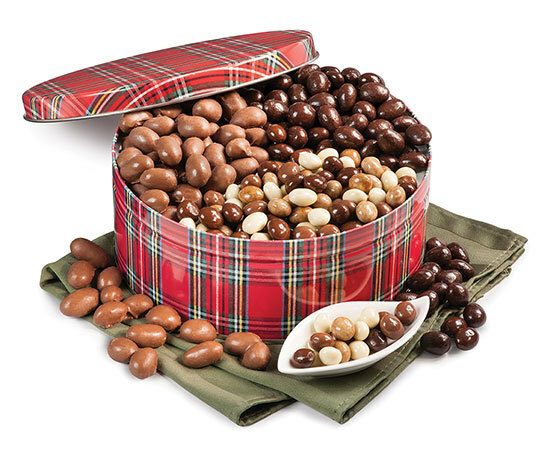 Extra-large Virginia Peanuts covered in creamy milk chocolate, plump firm Almonds; panned in rich dark chocolate for a luxurious sheen, and crunchy chocolate Espresso Beans. A heavenly combination. 36 oz. Gift Tin.